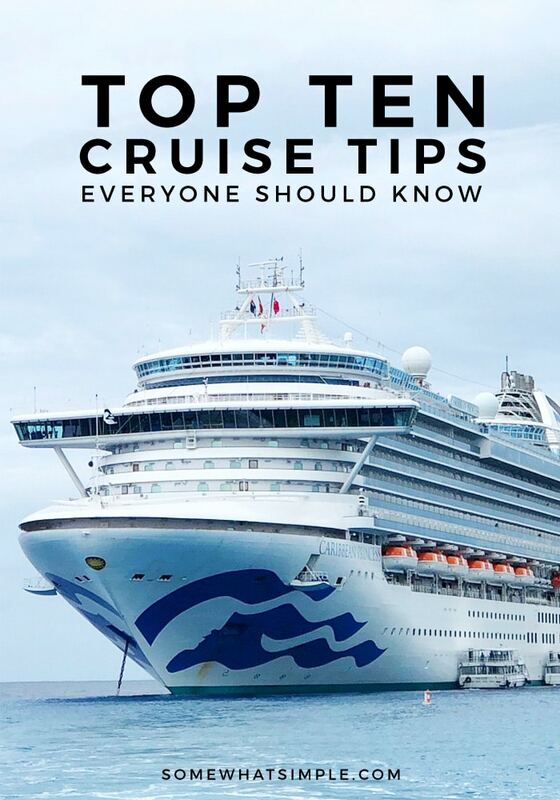 Our 10 favorite cruise tips are in partnership with Princess Cruises. All opinions are 100% our own. What to pack, things to do, what to reserve in advance, and more! Here are 10 helpful cruise tips that will make your cruise vacation even more unforgettable! Cruising is hands-down my very favorite way to travel. I have found it to be the perfect compromise between the way my husband likes to see the world and the way I like to vacation. A perfect trip for him includes hitting the ground running bright and early, sightseeing non-stop, and finally going to bed late at night, only to do it all over again the next day. 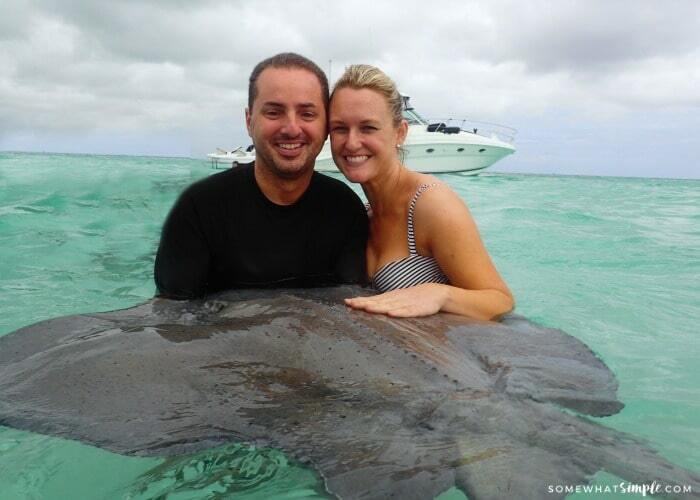 And while I do love to experience all of this with him, I prefer to spend my vacations relaxing! 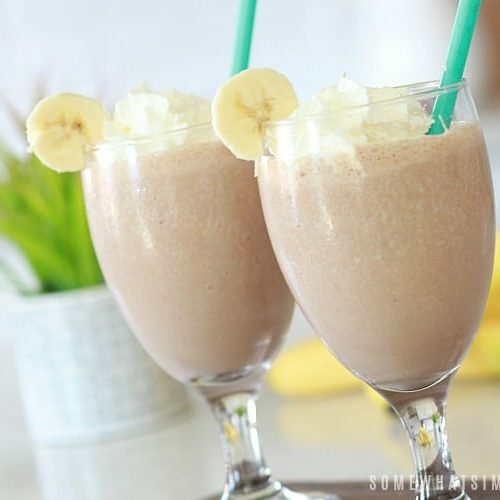 Give me a lounge chair with a cold drink, delicious food and my laptop and I am a happy girl! 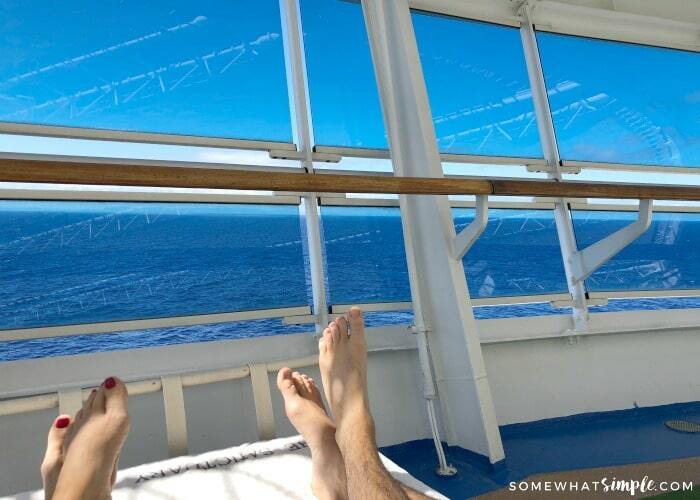 Cruising gives us the best of both worlds. Cruising has it all; thrilling port excursions and activities mixed with relaxing days at sea and amazing food. 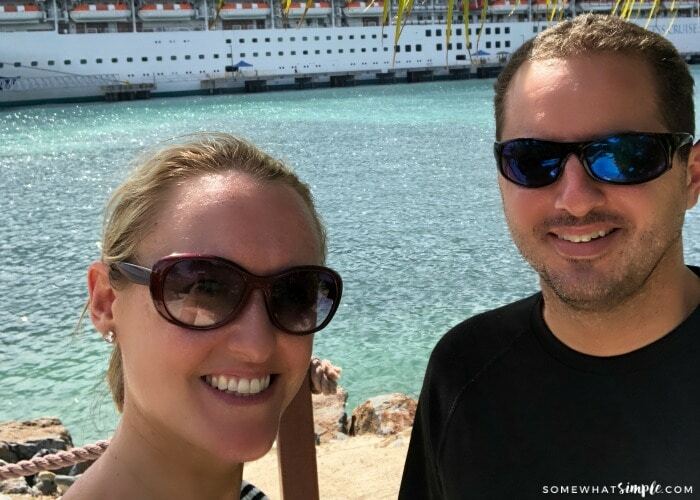 The two of us just returned home from our 7th cruise – a beautiful, relaxing, adventurous Western Caribbean cruise that was truly unforgettable. My husband just turned 40 and I surprised him the following week with this amazing voyage! He literally had no idea where we were going until it was time to board our flight. Princess Cruises provided the perfect backdrop for some memorable birthday celebrations! A Princess cruise is a great way to celebrate a special occasion. 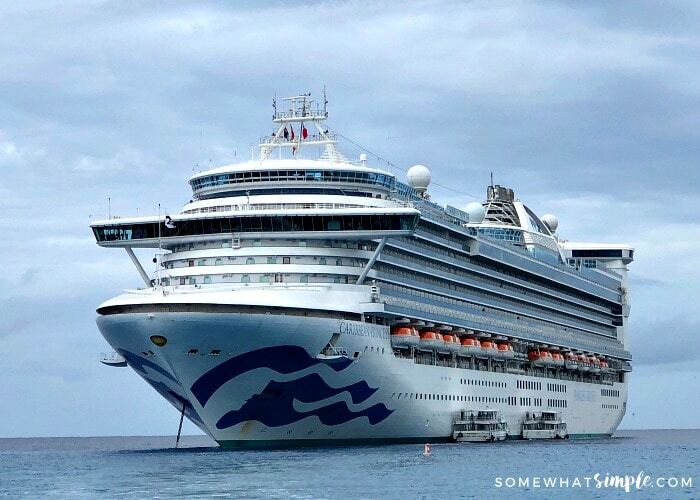 We had so much fun together aboard Princess Cruises’ “Caribbean Princess“. We’re already planning our next cruise, and this time we are going to bring all the kids. 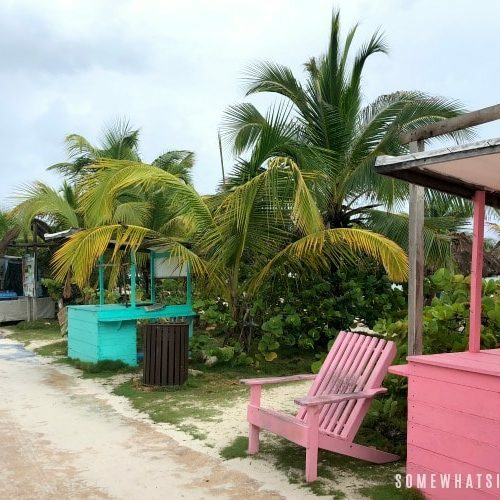 There are things we have learned on our various voyages – cruise tips and cruise hacks that help make an already awesome vacation even more amazing. If you are a cruising newbie or if you’re planning to set sail soon, here are 10 of our favorite cruise tips! Two of our cruises were not nearly as relaxing because we chose poorly on our state room locations. 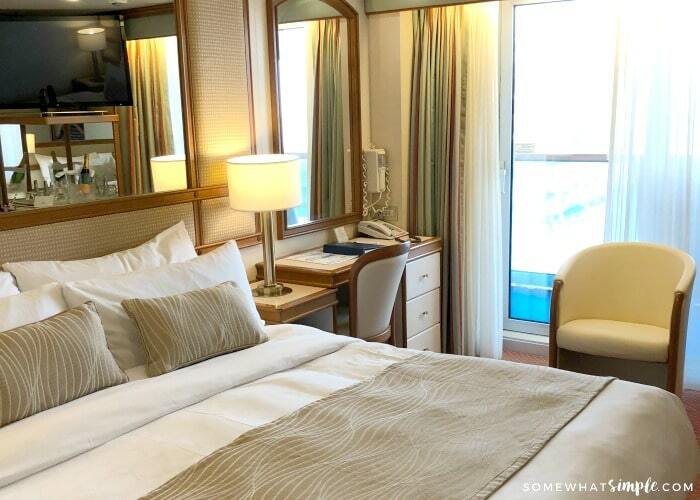 On one cruise, we chose an upper-deck cabin that was right in the middle of all the action! We could walk to the end of our hall and be on the same deck as the main pool. I was super excited for this one… until the very first night. There was a pounding above us that went on until the early hours of the morning. After a completely sleepless night, we went to the front desk and were told that our room was directly under the gym. The pounding we heard was someone dropping weights on the ground above us. On another cruise, we chose our room away from the gym, but close to the end of the boat with easy access to some of the entertainment on-board. This location happened to be right above the engine. On day 2, I had to download a white-noise app on my phone just to drown out the creaking and cracking of the walls and ceiling. Each morning we were woken up as soon as we pulled into port by loud engine noises and a room that literally shook and vibrated! Will you be spending most of your time by the spa or pool and prefer to have those amenities within arms reach? Do you need more space, a bathtub, or a room with a view? While inside cabins will usually cost the least, they might be a bit claustrophobic. If you find yourself feeling cramped, a room with a window might be worth the upgrade. When I was a teenager, my parents took us on a cruise and me and my siblings shared an inside cabin. It was a teenager’s dream! With no natural light, we slept better that week than ever before! Balconies are fantastic, but if you’re planning to use your room for little more than sleeping, it might not be worth splurging for. I personally LOVE having one, so I try to swing it where possible. On our Princess cruise last week, we spent a ton of time on our balcony. It was the perfect private escape, and the views from our balcony were some of my very favorite! Upper deck cabins are closer to the action and amenities of the ship, meaning less stairs to climb and quicker walks to the entertainment. Being at the front or back end of the ship often allows you quick access to the dining room, the pools, the spa, etc. but mid-ship lower level cabins have less motion. Don’t wait to board the ship before booking excursions and special reservations! I booked all of our Princess Cruise excursions weeks before we left so nothing was sold out! I also reserved a couple’s massage at the Lotus Spa during our last day aboard, which happened to be the busiest day for reservations. We were even offered an additional 15 minutes of massage if we changed to a less crowded day because there were so many people trying to book reservations for our day and time. Booking all reservations before you go gets you those coveted times and dates and it saves you from getting stuck in the middle of the frenzy on the first day of sailing. We have an entire post on What to Pack for Your Cruise with tips on things you never would have thought to bring and other items you can definitely leave at home. The general rule is to pack less than what you think you need. If you’re going to be gone for 7 days, plan 4 days of outfits. And you can leave your hairdryer at home since cabins come equipped with them already. My suggestion is to fly in the day before your cruise. Cruise ships have an exact departure time and they aren’t going to wait if your flight is delayed or you get stuck in traffic. While it might be tempting to give all your luggage to the crew during the boarding process, keep a backpack with you to hold anything you plan to use until that evening. ID, cruise documents, money, electronics, a swimsuit, medication etc. Your luggage is usually waiting for you outside your cabin in the late afternoon or early evening. Typically, early dining starts around 5:00 pm and later dining starts around 8:00 pm. Obviously, 5:00 pm seems like the most logical seating to reserve. We never eat past 6:30 pm or 7:00 pm here at home, so waiting until 8:00 pm seems ridiculously late. BUT the later dining is so.much.better, even with kids. 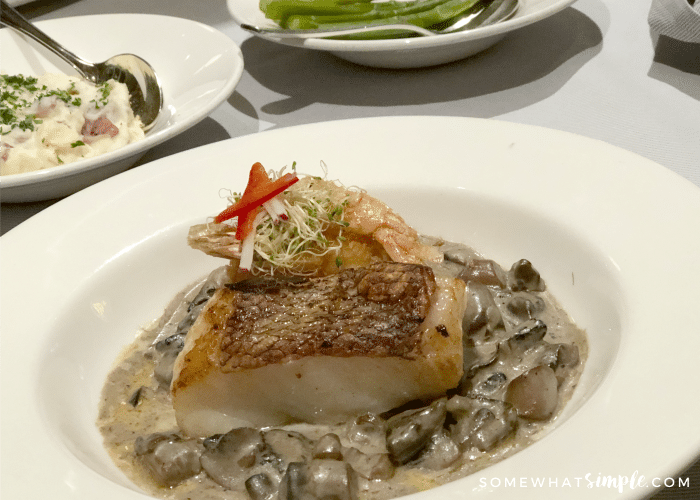 With later dining, there is no reason to rush getting back on board after an excursion. You can take your time, shower and get dressed nicely. And because there is no such thing as being hungry on a cruise ship, you don’t have to worry about starving while waiting for your dinner either. Grab an ice cream or a slice of pizza at 4:30 to hold you over. In fact, when we have had early dining, I often times wasn’t very hungry at dinner with all the snacking I would do at port or before meals. Late dining allows you to experience a full day of fun, then put the kids straight to bed or enjoy the night life right after you eat. It is definitely our preference! Put your phone on airplane mode so you can use the camera and various apps without having a huge phone bill after your trip. In order to take advantage of all the amenities offered, read the daily newsletter that is placed in your cabin each night. You can also connect to the WiFi network and use the ship’s app for free. The app and newsletter allow you to see all the services and activities available, and you can read some tips for port activities and shopping suggestions. The newsletter aboard Princess Cruises does a little “spotlight” on certain crew members – the captain, the cruise director etc. and it was fun to get to know them just a little bit more. I’ve heard of people say to splurge on specialty dining, but I’ve never bought into their logic. Why spend more money when the regular dining room has fantastic food and a friendly staff that feels like family by the time your vacation is over? You guys. I was wrong. Yes, the dining room is fantastic. Yes the specialty restaurants charge a cover charge. But seriously, the two specialty restaurants we experienced (Planks BBQ and Crown Grill Steakhouse) rank among with some of the best dining experiences in my entire life. (Dramatic much?) It was so worth it. Princess cuisine is designed to be fresh. Breads are baked 24-7, sauces made from scratch using the finest ingredients, steaks aged and hand cut on-board and ice cream made every day. With so many places to lay out and relax, why would you want to spend money reserving a chair at the adults only area on board? BECAUSE IT IS AMAZING, that’s why! 🙂 It was a perfect place to sip my favorite cruise drink; the Dirty Monkey. Princess Cruises offered us two private lounge chairs at Sanctuary, their private deck. We spent nearly the entire first day at sea relaxing in pure perfection! Our lounge chair was mostly shaded and had nearly a 180 degree view of the blue ocean. We were served drinks, cold hand towels, an afternoon tea, and we had the nicest staff! On our next cruise, I plan to book a private lounger for every day that we are at sea. It truly was fantastic! Here are a few more ideas to help you Make The Most Of Your Days At Sea. Most cruises disembark passengers early on the last day. Because of this, a lot of cruise passengers go straight to the airport and wait hours for their flight home. Rather than sit in the airport, get out and do something! Princess Cruises started and finished our cruise in Ft. Lauderdale, so after we left the ship and gathered our luggage we boarded a tour bus and went for an air boat ride in The Everglades. 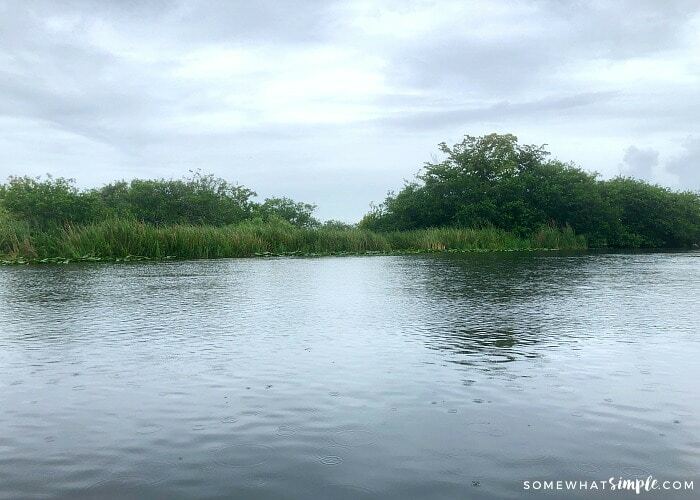 This was way better than waiting at the terminal, #amiright? Disembarking can often take a lot of time. You might have to wait in long lines to get off the boat and find your luggage. Even though you don’t want your vacation to end, it’s always a mad dash to get the heck out of that cruise terminal. Because we booked an excursion for the last day, we met in the ship’s theater, waited just a few minutes, then excited the ship without a line. At the end of the excursion, our bus took us straight to the airport where we had just enough time to grab some lunch and be on our way! 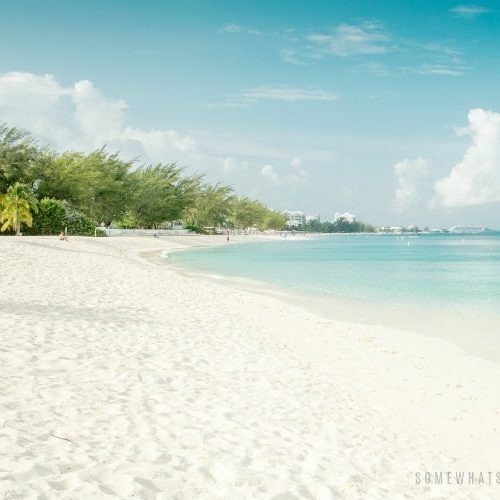 We sure hope your next Caribbean cruise vacation is fantastic! This post is sponsored by Princess Cruises. Thank you for supporting our sponsors so we can continue to provide family-friendly content to Somewhat Simple. This makes me want to go on a cruise like YESTERDAY!!! I’m saving all of these tips for when I do decide to go!